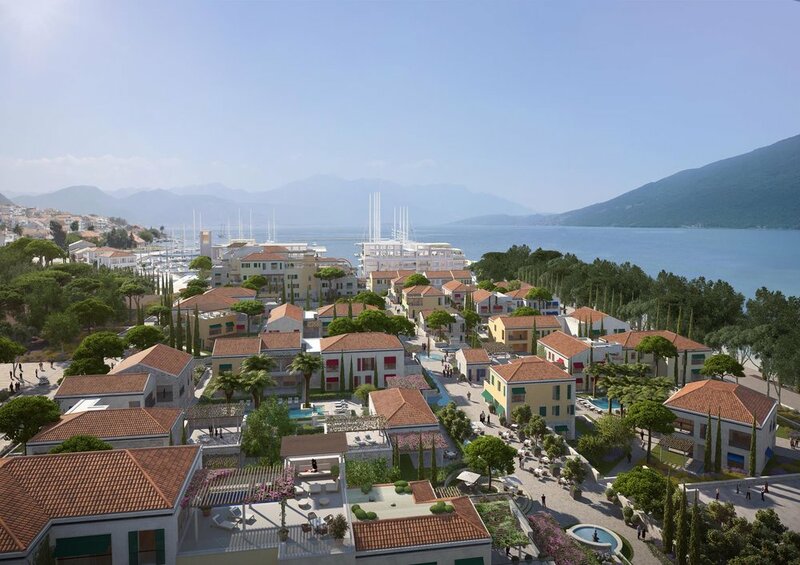 Resort harbors 275 luxurious homes commanding an excellent position between mountain and sea, ranging from luxurious, spacious town houses set in the heart of its Mediterranean-style village, stylish villas in its landscaped gardens, to sleek penthouse apartments overlooking Marina. Each property imparts its own distinctive sense of place with life and energy. Unique spa and dining, with innovative and tailored experiences for adults and families with children await. 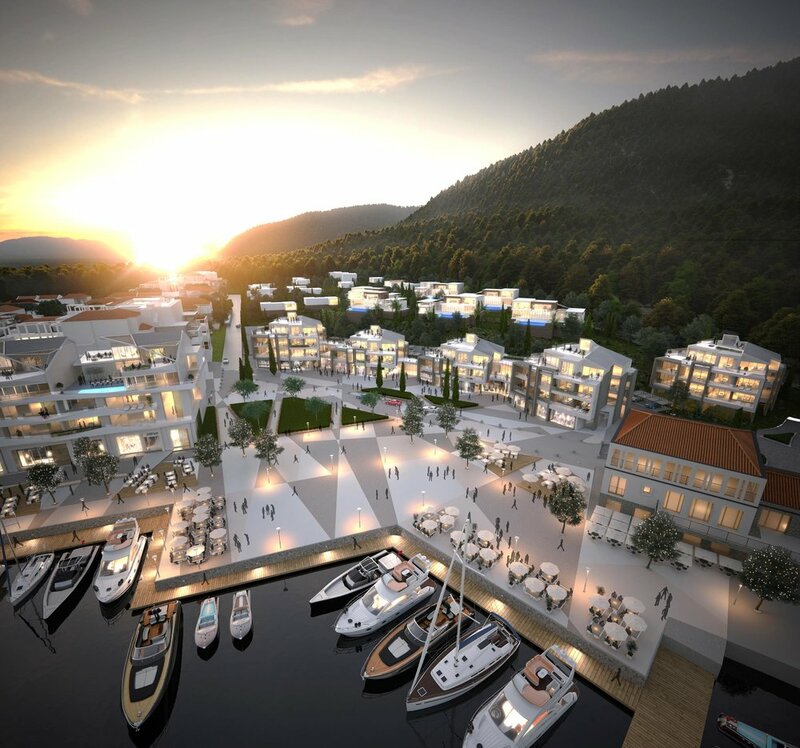 Resort's beaches, unique in Boka Bay, will be a sought-after destination for relaxation, waterfront dining and luxury living. 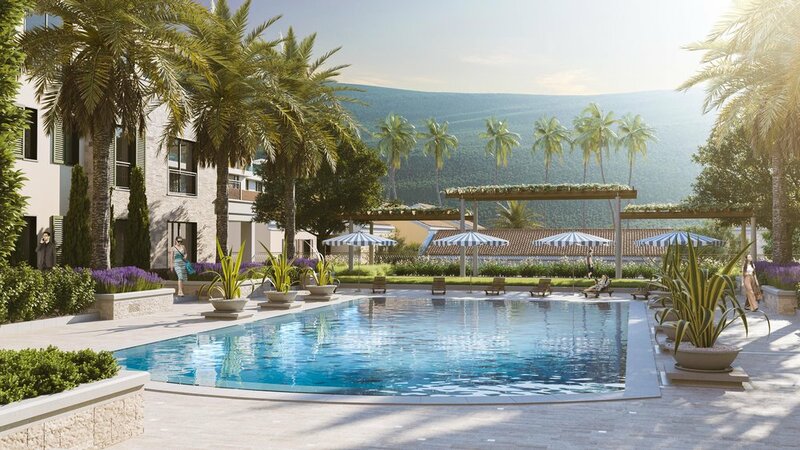 With an ambience of relaxed, yet spirited elegance, this resort will redefine standards within Montenegro and across the entire Mediterranean region. 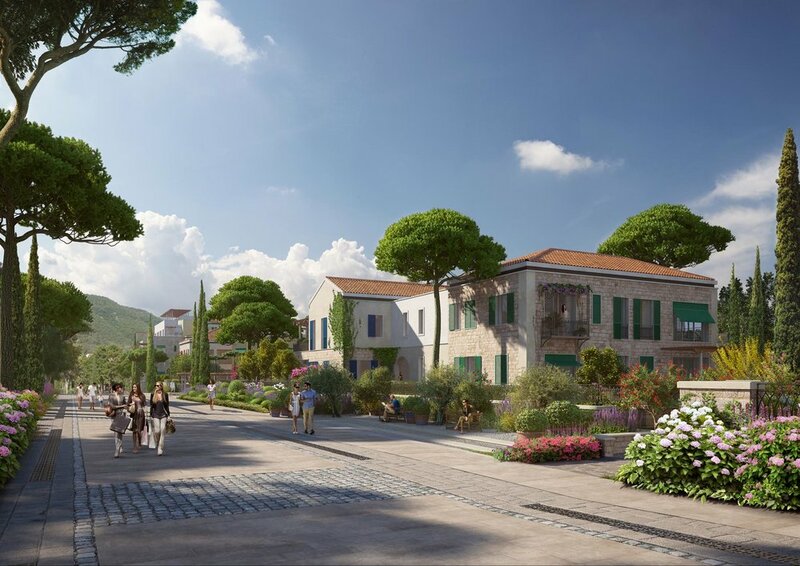 Designed as an elegant Montenegrin village, the resort will have the character, charm and ambience of a long-established settlement. 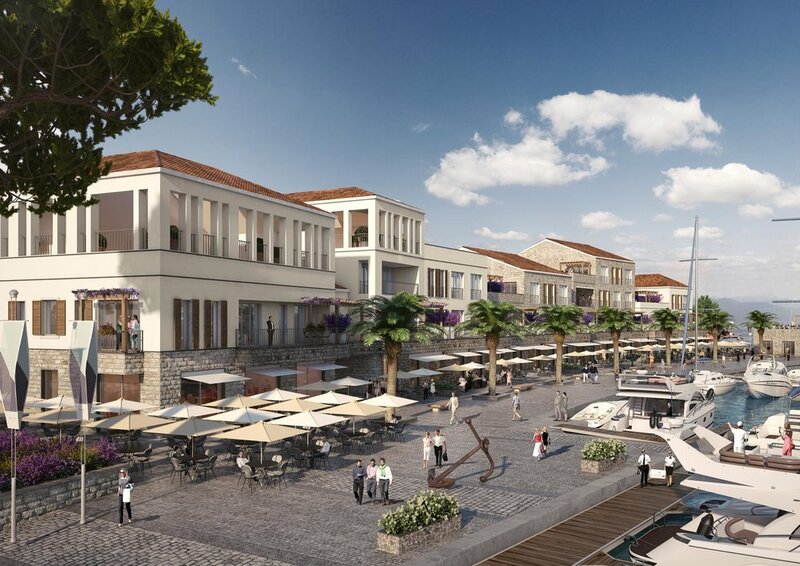 Its graceful pedestrian environment will reflect the surrounding architecture of the Adriatic coast, while echoing the style of vernacular towns such as Herceg Novi, Kotor, Perast and Dubrovnik.